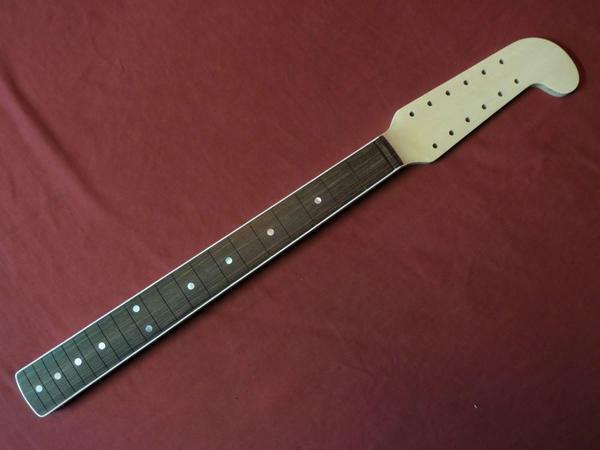 It looks more like a guitar neck now and less like a hockey stick. Here's a mockup, for no reason. Using a Jag template. 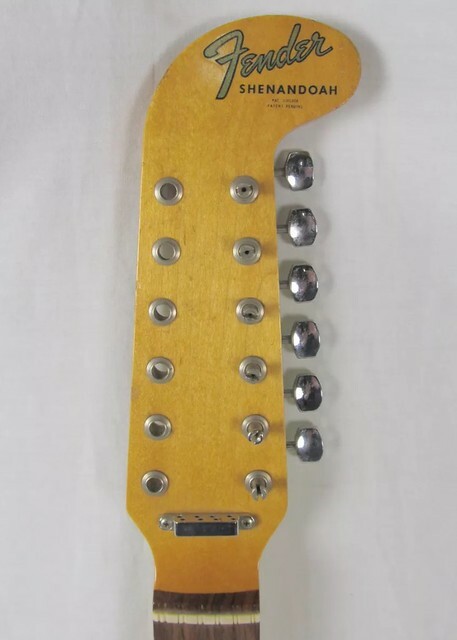 The neck has the same specs as a squier venus xii. 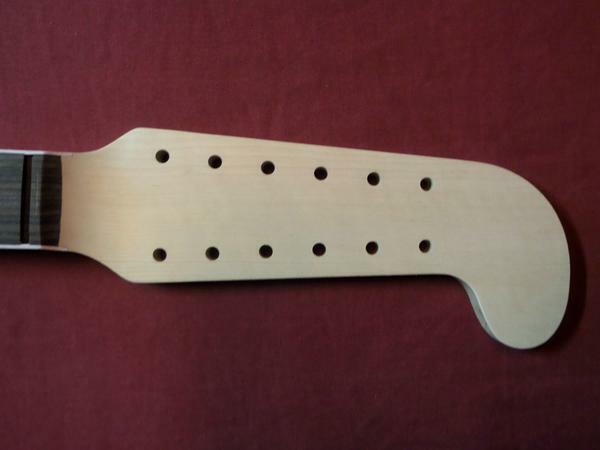 Minus the shaping at the bottom and the headstock shape. Wasn't you making a marauder at some point as well? Or have I missed that somewhere? I modded a reissue marauder like the original. I didn't build an original yet. Still needs more shaping and sanding but it's almost done!. I pm'd Pat and asked him if he would measure the depth of the routes on his spare Maverick body so I can match them on your Electric XII. Being the cool guy that he is he said he would get those for me. sorry i seem to have NO DAMN RULER in the house... will get one from work tomorrow. sorry for making you waste your time on this amazing project! Haha no problem. 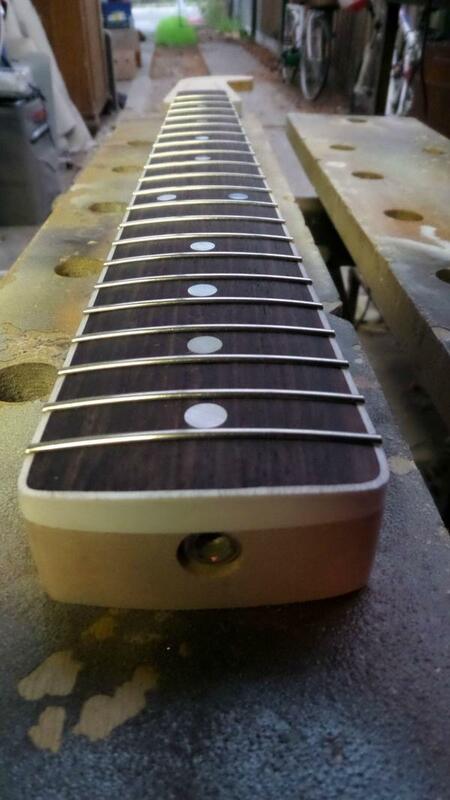 I'm getting a different neck made anyway. There was a problem in the wood with this one. So it will be a while for that anyway. Long time no update! This build is still happening! The Bass V and the Maverick have been taking up all the money haha. But now that they are almost done, I am slowly getting back to this. I decided I am going to do this in sunburst to match the maverick. I have a Spitfire guard and a Vintage guard made. It's just a decision on what guard to use for what guitar. 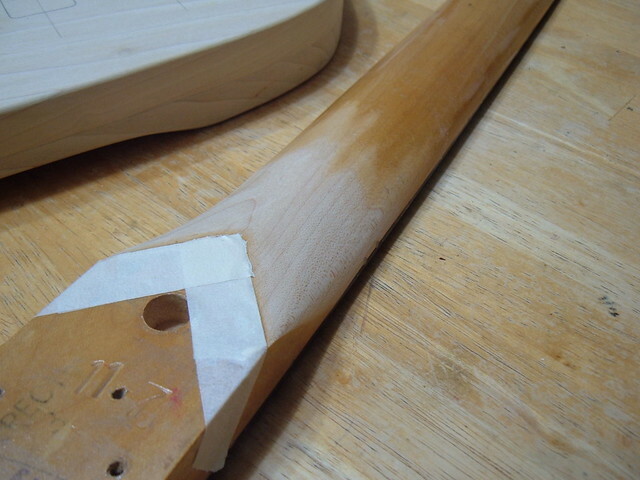 The neck I was going to use ran in to a router problem and now Cross is making a new one. 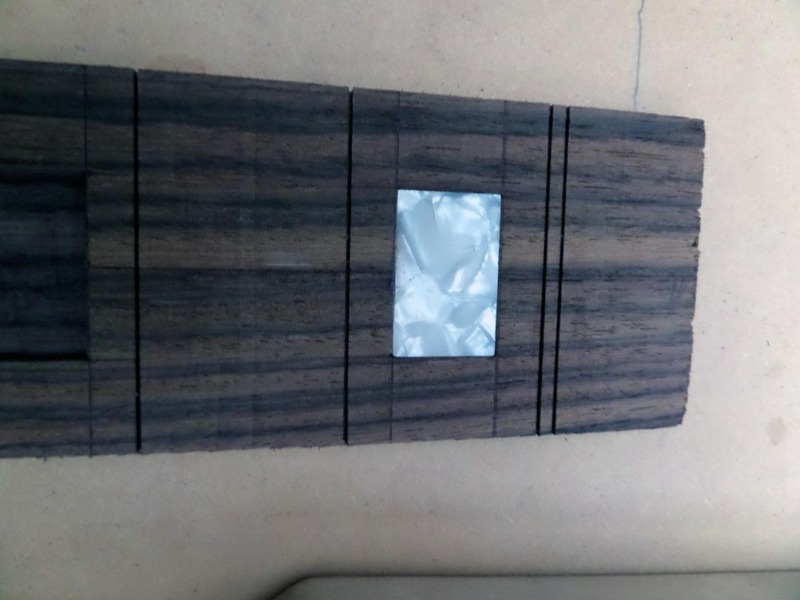 It will have block inlays and binding. Today I started taking apart the Venus Xii I am using for the parts. 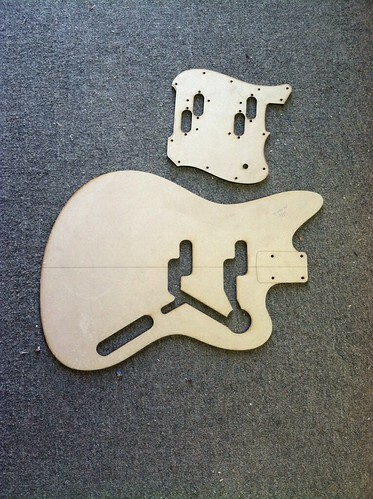 I have just about everything for this guitar except the neck and body which are still being made. But anyway... I made a small discovery while taking apart the venus. 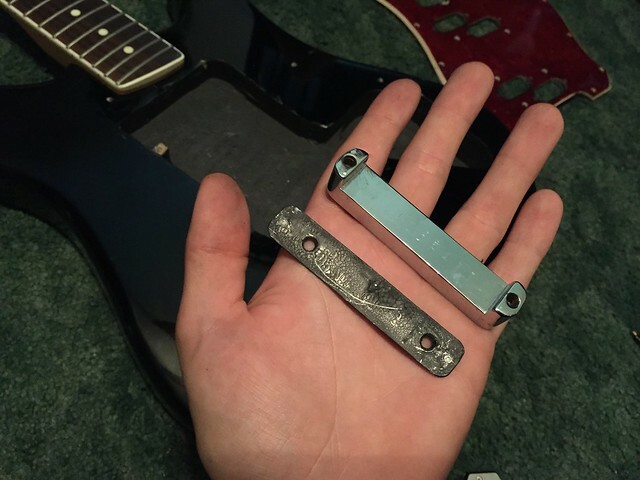 I have read that there wasn't any plate under the saddle bar (bar the saddles rest on) on these squier xii bridges but I have seem to found one. 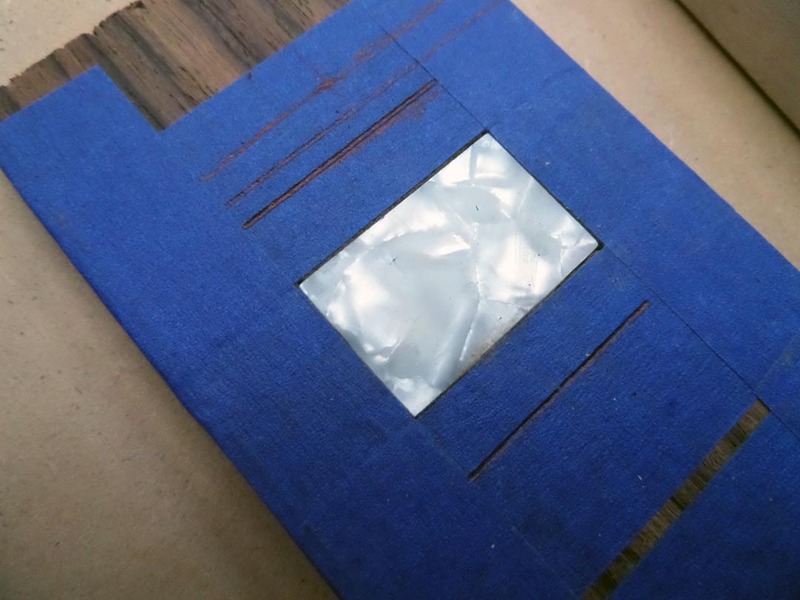 It was painted with shielding paint and blended in. Cool! I don't know if mine was just a special one or they truly did all have these like the vintage electric Xii's. check it out! 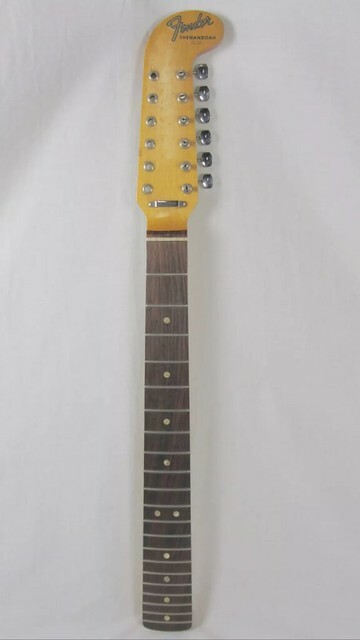 I bought a Shenandoah neck for this guitar. 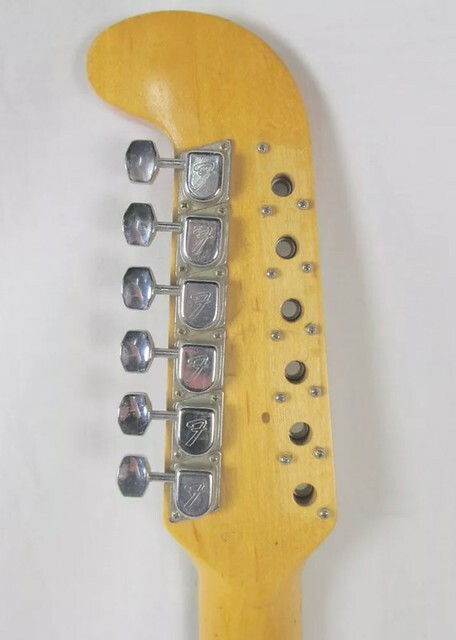 Have a pretty interesting idea about these necks. 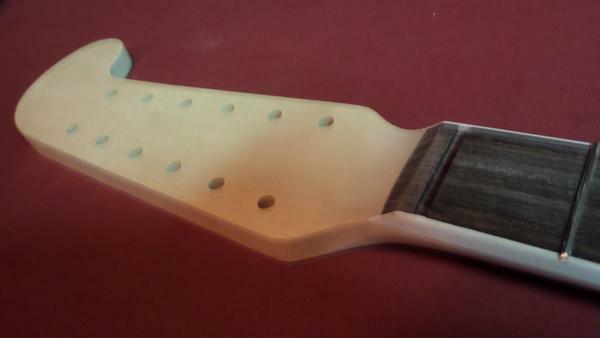 And this neck just made this project much cooler. More info in a bit when I can load pictures. 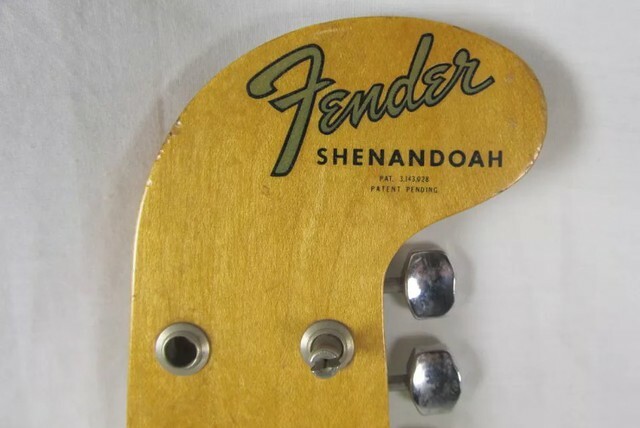 I always had a hunch on these Shenandoah necks. 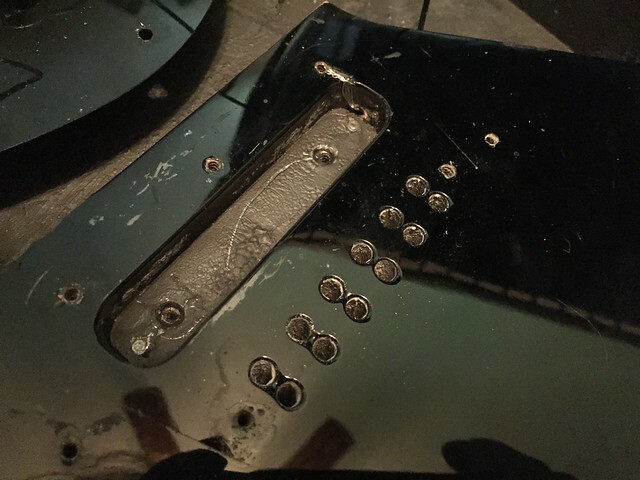 Everything just looked so perfectly like an electric Xii neck to me and I have looked at countless threads talking about using them for xii builds but none of the threads go anywhere. But... This one definitely will finally show it. Haha. 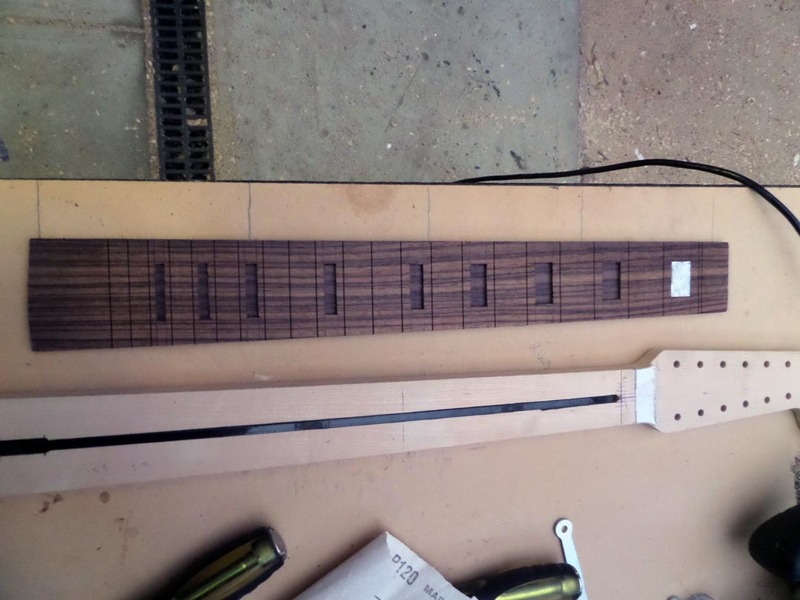 Now, these necks are the same scale length as an Electric Xii (25.5") and the same radius (7.25) The number of frets are also the same. 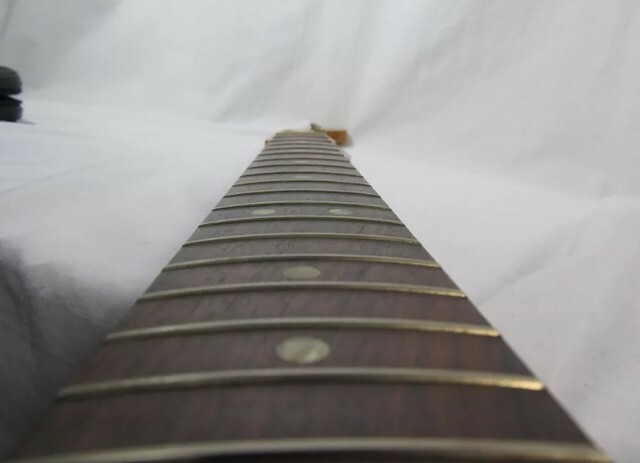 So what's different about these two necks? The heel! 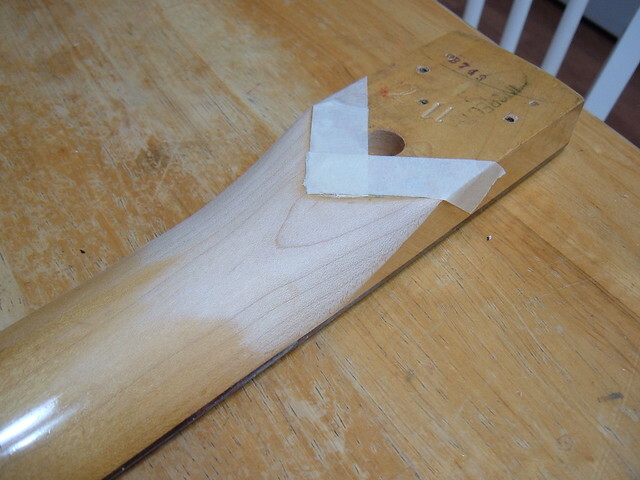 The Shenandoah heal is slightly longer (1/2" longer) than the xii heel and it also a tad rounded at the edge probably for the acoustic bodies connection. But I have a hunch these necks were made with the xii necks but the heels were cut differently. 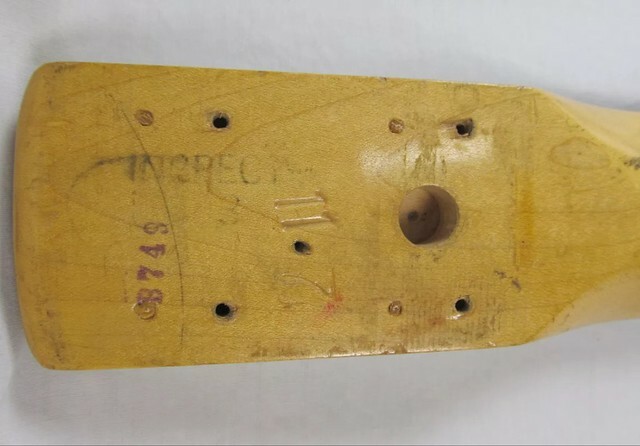 If you look at the heel, it has 4 holes in it that are filled in. 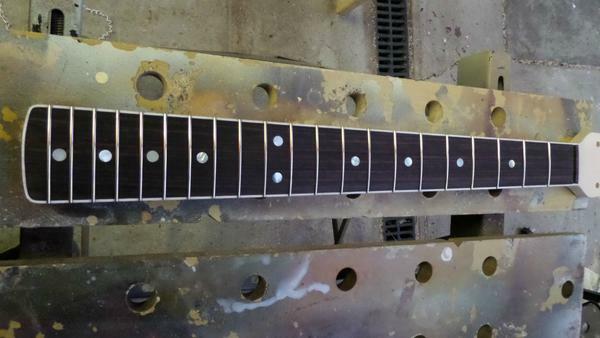 These holes are in the exact location of the xii neck mounting holes. I thought.. "Hey! 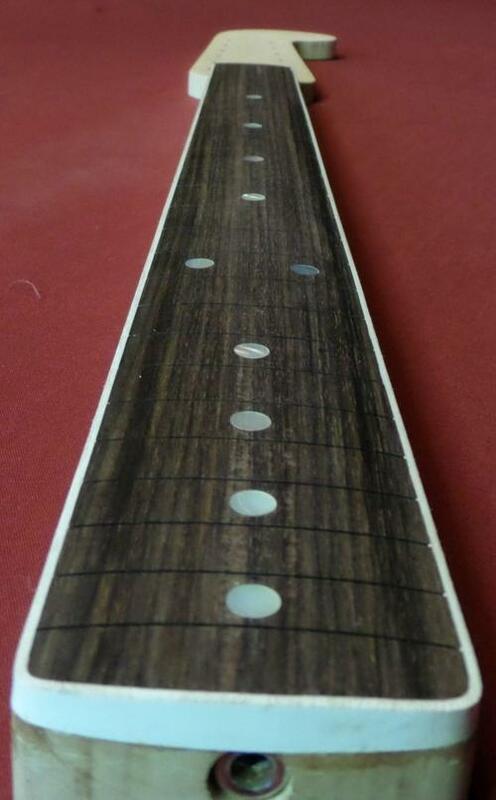 Someone used this on or made a xii with this neck before!" But then look at the neck stamp. It's over top of these filled holes. 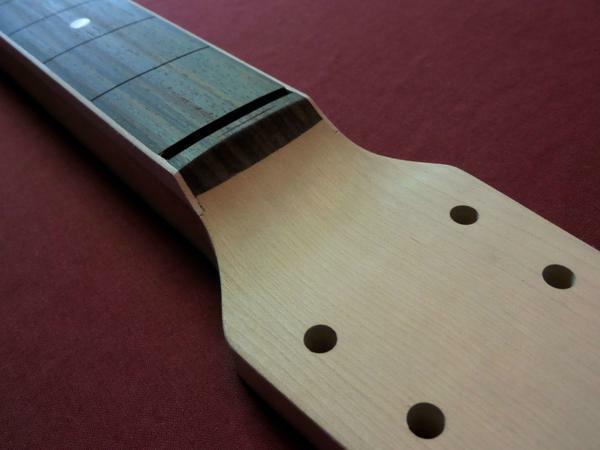 This leads me to believe that they had these necks made already without shaping and then they just picked them up and shaped it in to a xii or a Shenandoah. 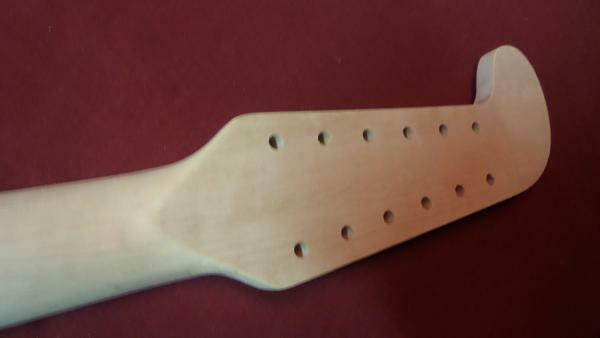 It looks like they drilled the screw holes before they shaped the back of the neck. 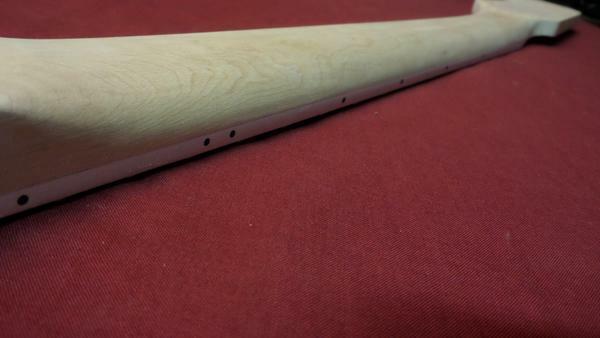 I thoroughly believe this neck was originally made for an xii and when they stopped making the xii' then just shaped this neck in to a Shenandoah neck. The Shenandoahs also came in B&B like the Xii's. So what am I doing? 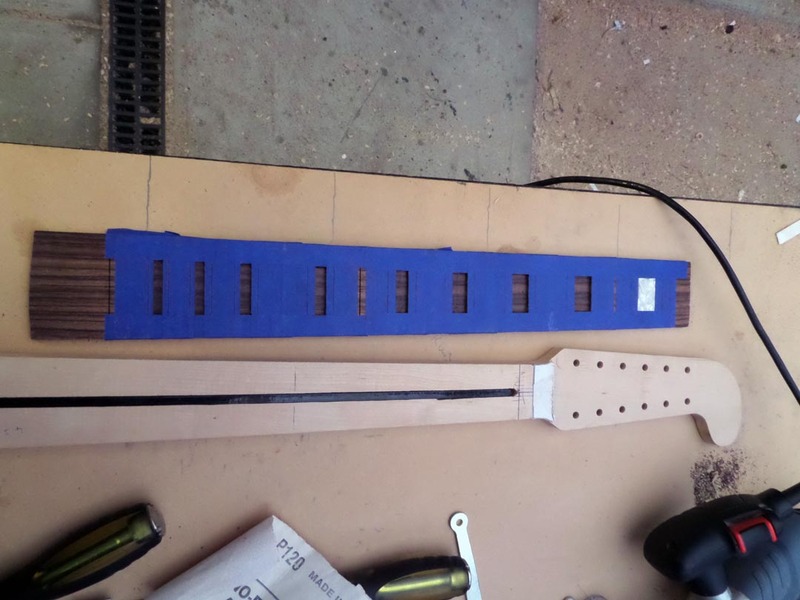 Cooterfinger is gonna fill the acoustic mounting holes and reshape the neck down 1/2" (should stop right before the top holes), and then boom! 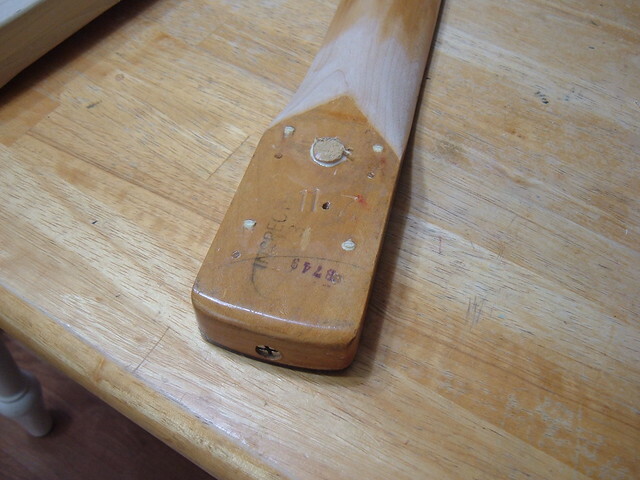 Xii neck. I also picked up an original xii Pickguard by the way. This should be fun! Nice find, and very interesting. And Cross is still making the B&B neck. I don't know what neck I'll use but I'm sure I'll find something to use the other one on.